Free Printable 2018 Planner- 35+ Pages! Do you want to get organized and reach your goals in 2018? If so, here’s the planner to help you do it! 35-page planner includes goal-setting worksheets, weekly planners, daily planners, calendars, menu/grocery, & more! If you think your friends might like this free printable 2018 planner, why don’t you share it? Share buttons at the top of the page! Share on Facebook, Pinterest, Twitter, & more. 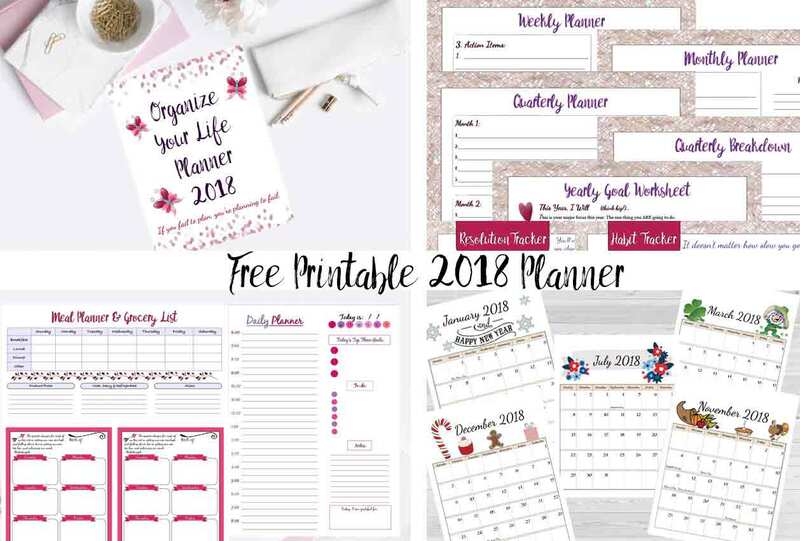 Want a FREE 35+ page 2018 Planner?